Following on from last week where I introduced you to the Sarus Crane, which is one of the largest bird species that we observed on our recent trip across the north of Australia, I will now introduce you to one of the smallest bird species that we encountered. There were three species of Fairy-wrens encountered on our trip and they were the Red-backed Fairy-wren, Variegated Fairy-wren and the Purple-crowned Fairy-wren. 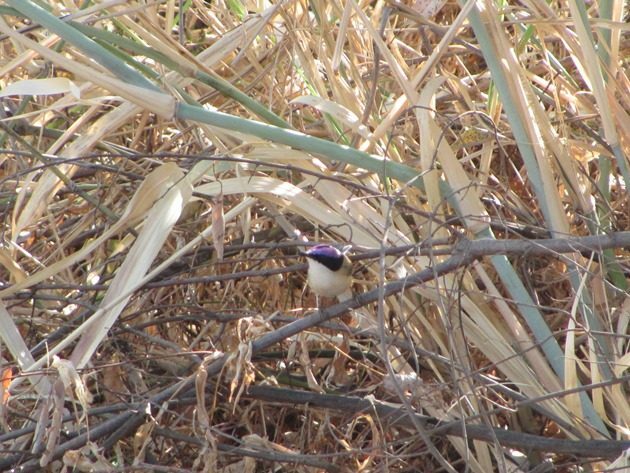 Both the Red-backed Fairy-wrens and Variegated Fairy-wrens are quite easily observed around Broome and across the north, but the Purple-crowned Fairy-wren is a harder species to find. 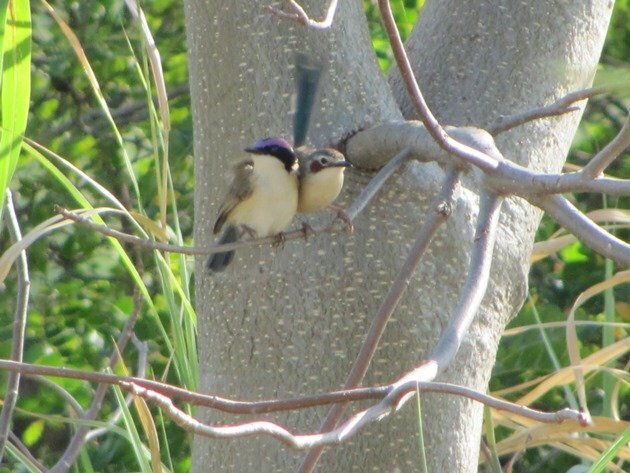 The nominate race of Purple-crowned Fairy-wren Malurus coronatus is in the far north of the Kimberley and over the border into the Northern Territory. The race Malurus coronatus macgillivrayi is present in the area around the Gulf of Carpentaria in both the Northern Territory and Queensland and we observed them at Caranbirini Conservation Reserve. An excellent place to find the Purple-crowned Fairy-wren is at the Big Horse Creek boat ramp area in the Northern Territory and you may remember it is also a good place to see Great Bowerbirds in action! 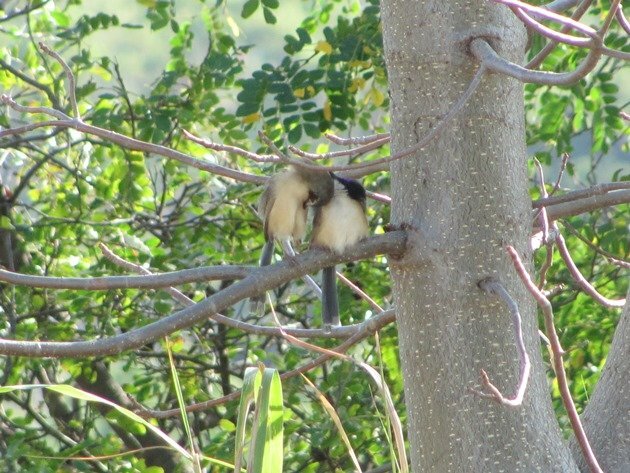 There are also Variegated Fairy-wrens at this location and they will often all be calling out in the long dry grass and so it can take some patience to observe the Purple-crowned Fairy-wrens. Our first view of the Purple-crowned Fairy-wrens was of a male bird dropping fast into some long dry grass and then we waited for it to reappear. There were a pair of birds and thankfully they were curious and the male Purple-crowned Fairy-wren hopped forward into the low dry grass on the edge of the car-park as you can see in the above photograph. 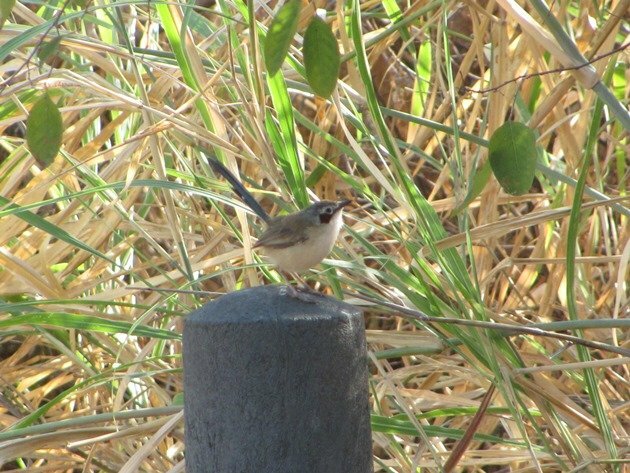 The female Purple-crowned Fairy-wren then came forward and landed on a post at the edge of the car-park as we stood almost in disbelief as they almost ignored us. Although the Variegated Fairy-wren female bird also has a similar blue tail the female Purple-crowned Fairy-wren has a very distinct eye patch and the tail feathers appear more azure blue coloured than just bright blue. 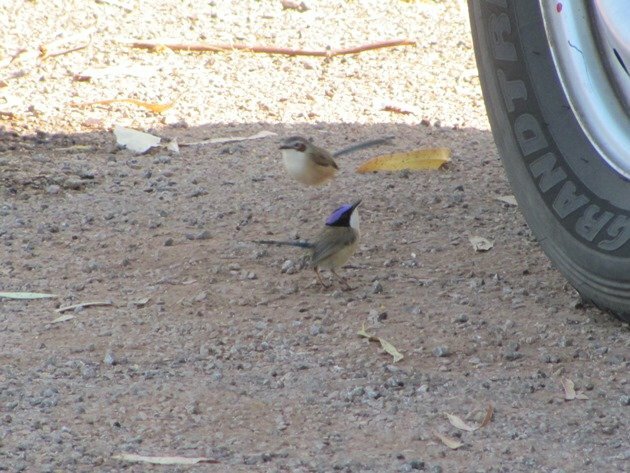 Thankfully this pair of Purple-crowned Fairy-wrens were in full colour and were a lot more interested in the vehicle parked in the car-park than ourselves! Their tails were constantly on the move making for some interesting photography. 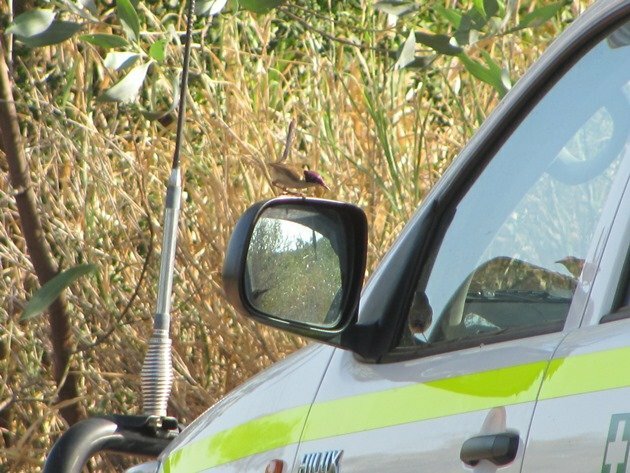 It was then very amusing to watch the pair of Purple-crowned Fairy-wrens fly up to the wing mirror of the vehicle and investigate both the wing mirror and the windscreen! 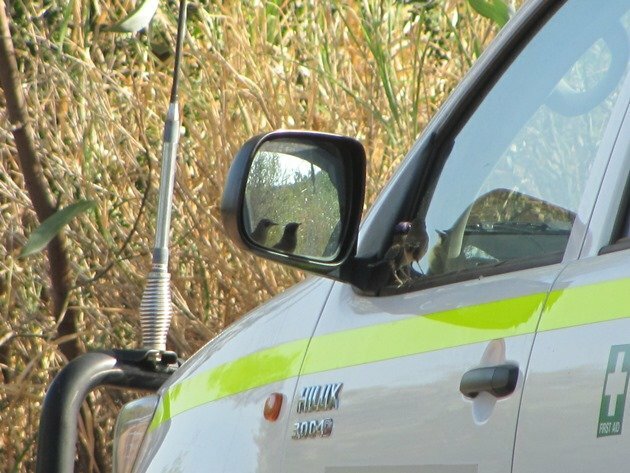 We spent some time being amused by these tiny birds and they were chirping away at each other as they moved around the vehicle and then returned to the surrounding bush. They really appeared to be quite the loving couple! 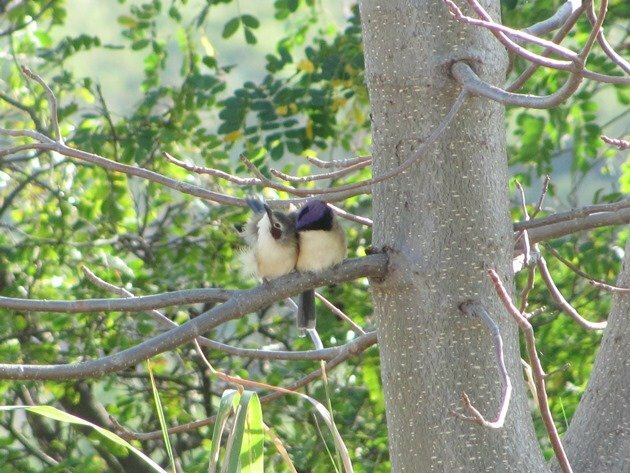 Initially the female Purple-crowned Fairy-wren landed next to the male bird on its left and then moved across and they were looking quite content with each other as you can see! 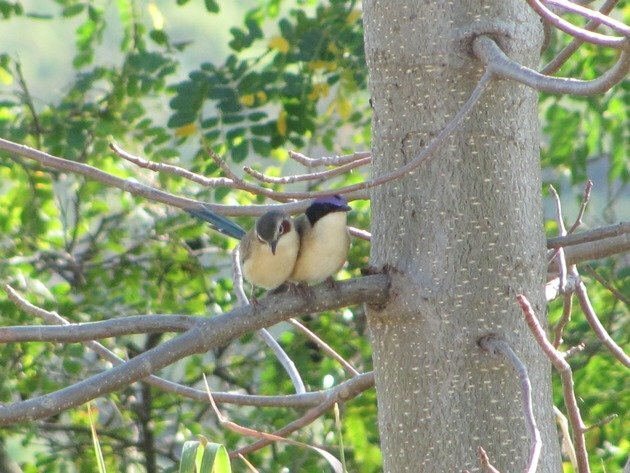 If you happen to be driving from Kununurra to Katherine we would definitely recommend that you take a break and stop at Big Horse Creek boat ramp to see the Purple-crowned Fairy-wrens. They were a welcome addition to the 2017 Year List and such a cute couple! 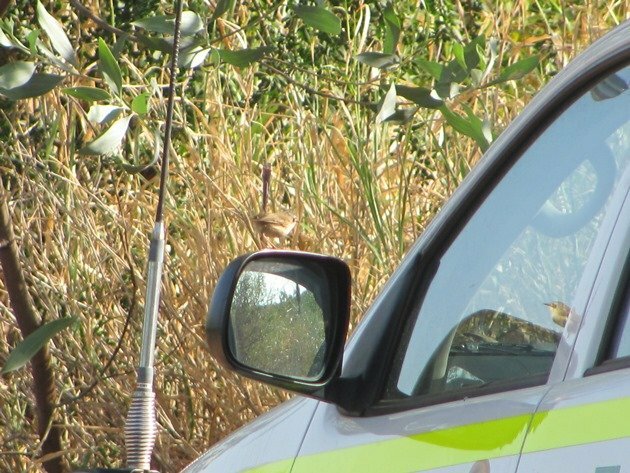 Who knew that cars could attract birds, especially adorable Fairy-wrens. I hope I see this species some day. They really are gorgeous and so tiny too! Another reason to put the north of Australia on your “to do list”!